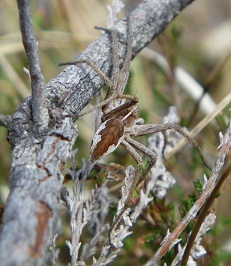 In this survey we are only asking for records of four species of spider. These should be easy to identify without any special knowledge or equipment, but you will need to look closely! Click on the pictures below for information about each one, including where to look for it and what features will help you to identify it. 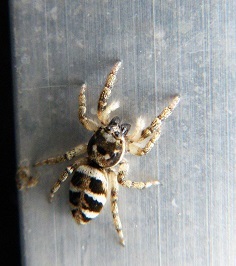 Photographs of 4 Spotted Orbweb, Zebra and Nurserweb Spiders (c) Chris Cathrine. 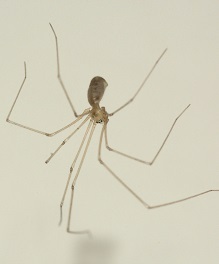 Photograph of Daddy Long-legs Spider (c) Colin Legg. To help us to confirm your observation, please include a photograph with your record. Additional details such as habitat, behaviour, number of individuals are also interesting, so include them if you can. Guidance on using our online recording form can be found here. 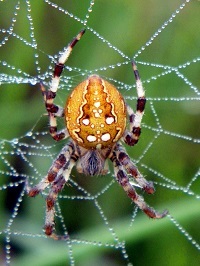 Spider experts from the British Arachnological Society will check the records to confirm the identification. The information will be sent to the Society’s Spider Recording Scheme, which collects records of spiders from across the UK. It will also be sent to NBN Atlas Scotland. Your information will help us to understand the distribution of these spiders better and provide information to help monitor their spread or decline.